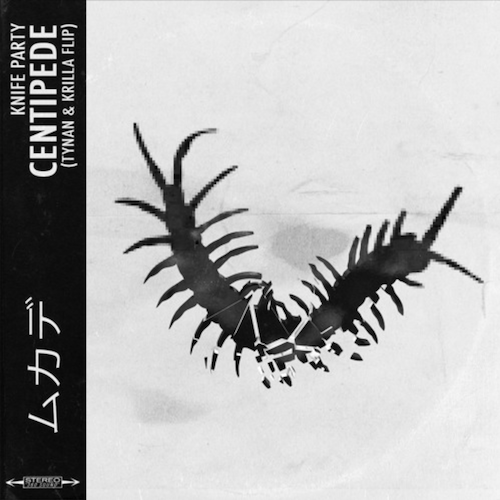 One of the groups we haven’t heard from in a while is Knife Party, so I was excited to see a flip of “Centipede” (from their 2012 “Rage Valley” EP) by TYNAN and KRILLA pop up recently. Oklahoma City resident Kevin Hickey and his Toronto based counterpart said they had to take five shower breaks while making the track, and I definitely believe them. Last year, TYNAN impressed me with his flip of “Bloccd” by DMVU and his collaboration with 1788-L called “ABYSS“. Near the end of 2018, Krilla released his flip of “Collapse” by Zeds Dead as a free download. The track was played by Borgeous on his radio show House Of Borgeous 213 and by him again at Ultra Music Festival in Miami last weekend on the Worldwide stage.